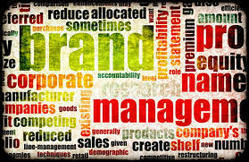 At CIPL, we have a process driven approach to online brand management services. From brand building to rebranding to protection and safeguarding, we adopt a systematic outlook to help your brand succeed and survive consistently. The Web is the leading platform in positioning and building brand awareness today. Hence, it is crucial for a business entity to get fully featured on the Web. However, the challenges of online branding differ from other conventional branding practices. Customers of a brand which is established offline have different set of loyalties, expectations and behaviours online. The online channels through which a brand is positioned and its message is circulated also differ from one other. Our online branding services maximize your brand’s visibility by leveraging on potential platforms in the most accurate manner. Prior to positioning your brand, a detailed research is undertaken to understand your brand value to successfully integrate your website into an engaging marketing communication. Rebranding is the act of improvising the previous branding by bringing significant changes to the way the brand used to communicate and present itself to its targeted audience. Rebranding may be the collective work of changing or modifying the brand’s name, logo, slogan, marketing and advertising strategy etc. The web is perhaps the best platform for expression of emotions. With access to free social software, anyone from any part of the globe has the authority to write or contribute anything regarding your product or service. This also means that potential brand abusers may take it as an advantage to bring your brand into disrepute. Tracking consumer-generated discussions and events relating to your brand across social software including blogs, instant messaging, forums, social and video networks, social bookmarking sites, Wikis, news sites etc. Responding to negative posts in real time to outshine its significance and drive the user engagement to productive discussions that excel your brand value. Building microsites to improve positive content density and push back low reputation links.